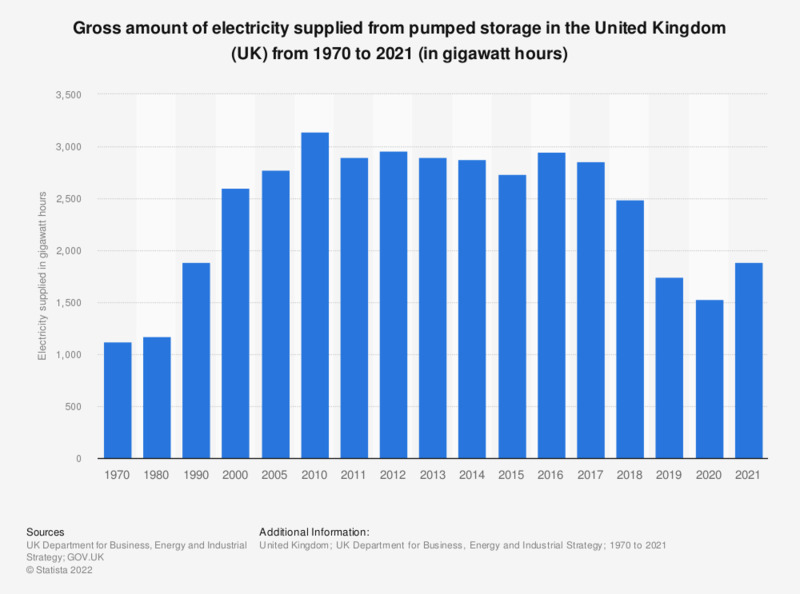 This statistic shows the gross amount of electricity supplied from pumped storage in the United Kingdom (UK) from 1970 to 2017, in gigawatt hours. It shows that the amount of electricity supplied from this power source increased over this period from 1,123 gigawatt hours in 1970 to 2,862 gigawatt hours in 2017. In 2010, the amount of electricity supplied from pumped storage peaked at 3,139 gigawatt hours. Data includes all electricity generating companies.